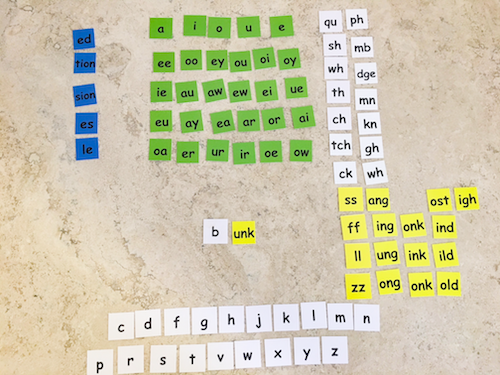 When I teach with the Orton-Gillingham approach, I use a lot of letter tiles in our lessons. Each spelling lesson becomes multisensory because the kids are using their visual, kinesthetic and auditory learning modalities. On today’s post, I am going to share with you everything you need on using letter tiles in an Orton-Gillingham lesson. Letter Tiles in Orton-Gillingham are those tiny color-coded squares that have each phoneme of the English language printed on them. They are used by the students when practicing a new concept or skill. If I am teaching the skill /unk/ like in the word skunk, for example, I will give them 10 words with the /unk/ concept to build, blend and read back to me. The students first say the word, then bring down each sound they hear in the word and then blend the sounds together to read the word. How do Letter Tiles in Orton-Gillingham Work? 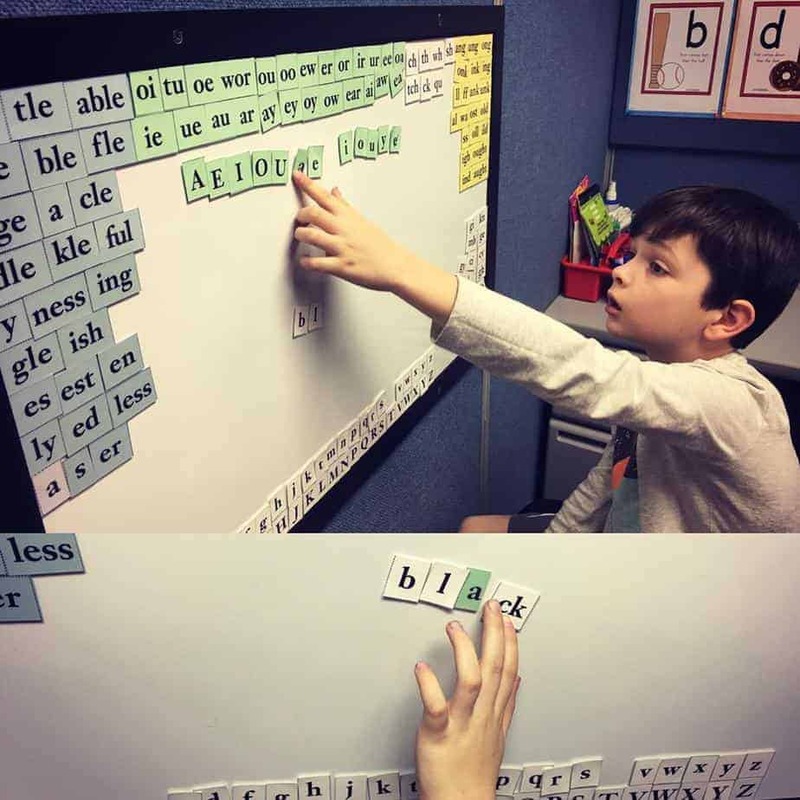 You have the option of placing the Letter Tiles in alphabetical order on a table or flat surface, or you can put magnets on the back of them and place them on a magnet board. I use both ways with my students in our Orton-Gillingham sessions, and the kids do not seem to like one way better than the other. I will have them build a list of words, each time we learn a new concept as well as to review concepts that we are still reviewing. Here is a quick sample video of me teaching a student with the Letter Tiles in an Orton-Gillingham lesson. It is really short and quick, but will give you an overview. 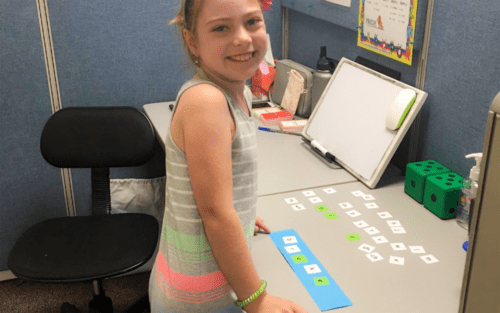 Letter Tiles are a fantastic learning tool that helps kids learn to apply and use their spelling rules quickly and with accuracy. Letter Tiles are also the perfect multisensory learning activity for kids. 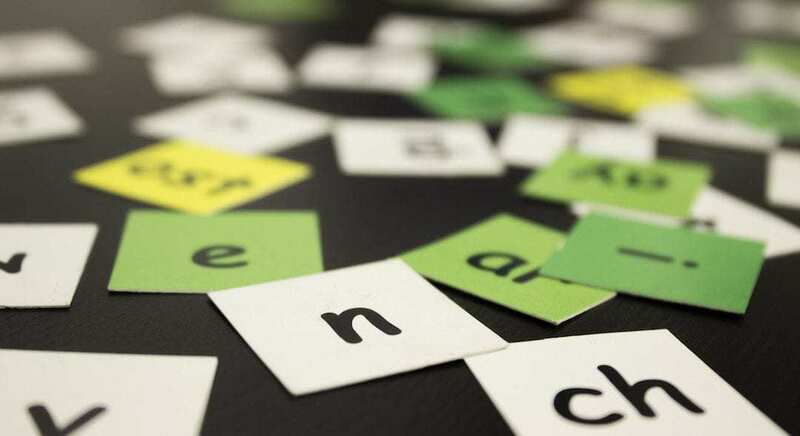 Do you use Letter Tiles in your spelling and reading lessons? If yes, please feel free to share what and how you do it with your kids below in the comment section. I really welcome your feedback! And while you are here… check out this amazing, easy to use, heavily scripted out Orton-Gillingham reading program called the PRIDE Reading Program. It is used by tutors, teachers and parents with great success. 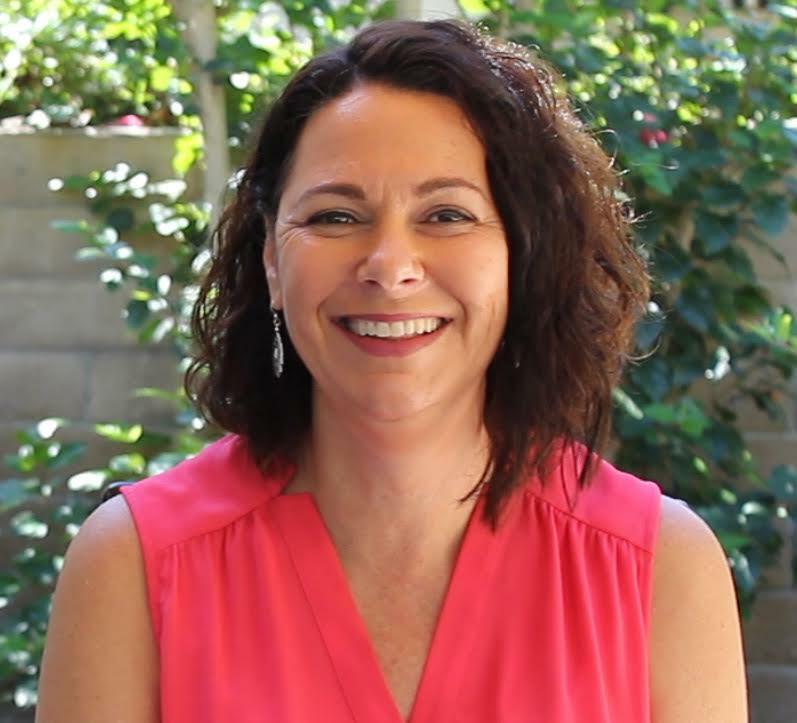 Thank you so much for reading my post today!